The Sports Centre has a small parking with limited space. This parking operates under the general parking rules of Leiden University. Paid parking only during weekdays from 07.30 - 17.00 hrs. Payment via PIN (or a parking subscription). Free parking in the evening and weekends. 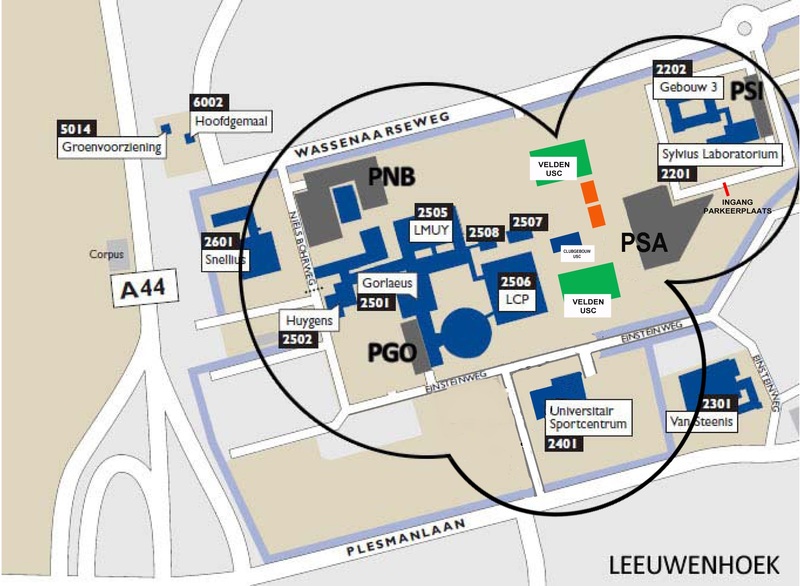 The users of our sport fields can park at the parkings of the Sylvius Laboratory (PSA) and the parking at the Einsteinweg (PEW). These parkings are open on weekdays from 18.00 - 00.00 hrs and the entire weekend.